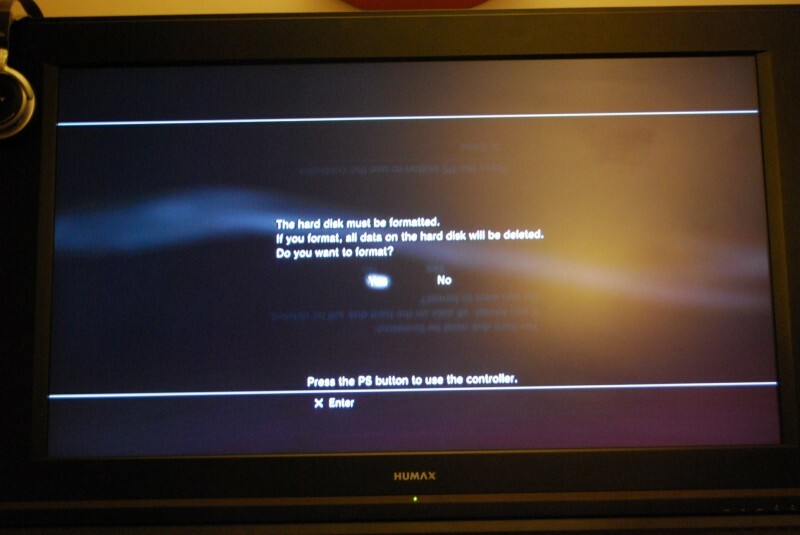 The first issue I faced was getting the PS3 to recognise an external drive. 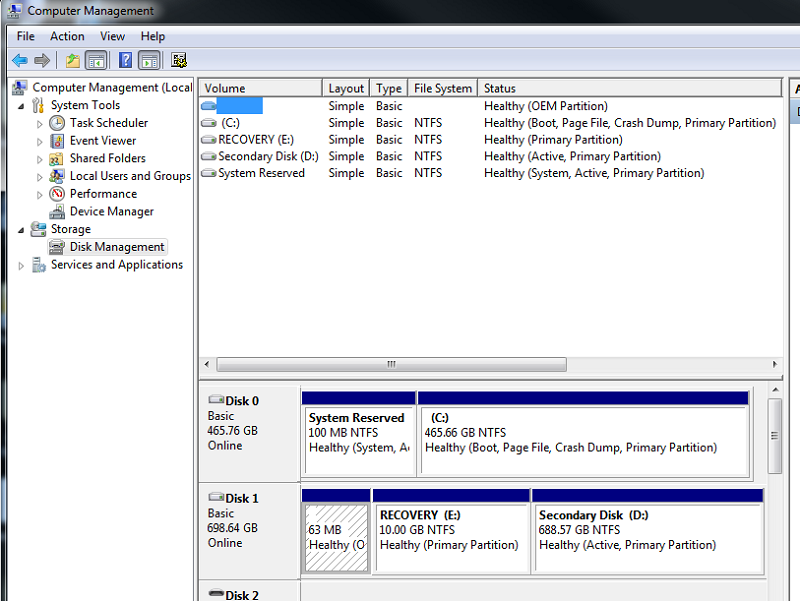 I located the backup utility under the Settings menu, but it wouldn’t see my 4GB USB stick. A bit of reading revealed that it had to be formatted in the FAT32 file system. 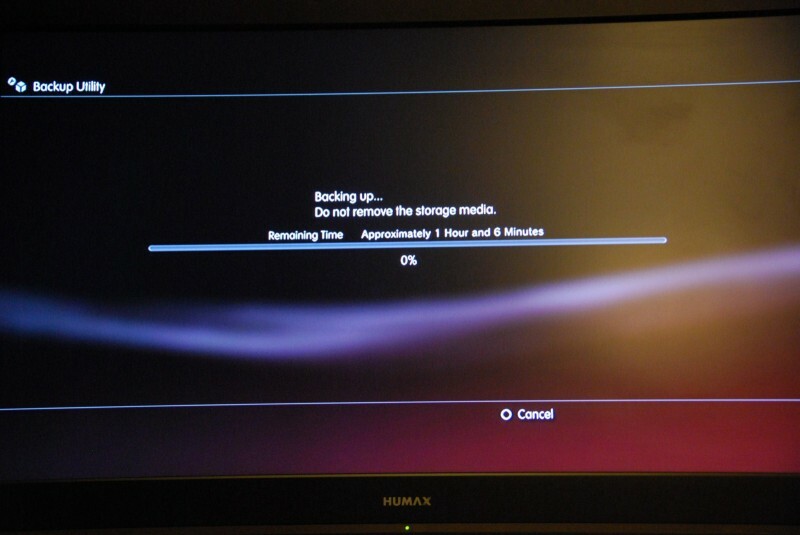 I popped it in my PC and did a quick format and plugged it back into the PS3, but that didn’t help. 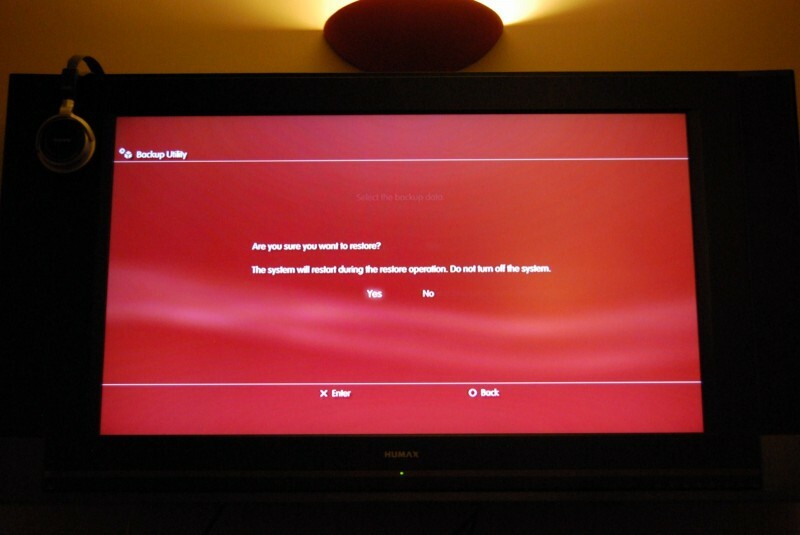 So I did a long format, and then returned it to the PS3 and made sure I could see it under the Video menu – I could. I then returned to the backup facility only to be told that it wasn’t big enough. This much was of course obvious to me; I’ve got a lot more than 4GB of data to backup, but I was hoping to be able to transfer it in chunks. This doesn’t appear to be the case. I therefore grabbed an external 250GB USB drive. This was already formatted with the ext2 filesystem for my Fedora box, so when I plugged it into my PC it was ignored and I had to use Windows 7’s disk manager utility to sort it. If you need to do this, right-click My Computer, choose Manage and you should find it in the tree under Storage. Using this tool I created a 32GB (32768MB) partition on the drive – this appears to be the largest size supported by this tool on Windows. If you need to backup more than 32GB of data, try this tool (without warranty!). Anyway, once I’d created the partition the drive appeared in My Computer and I was able to use Quick Format to pop a FAT32 file system on there. 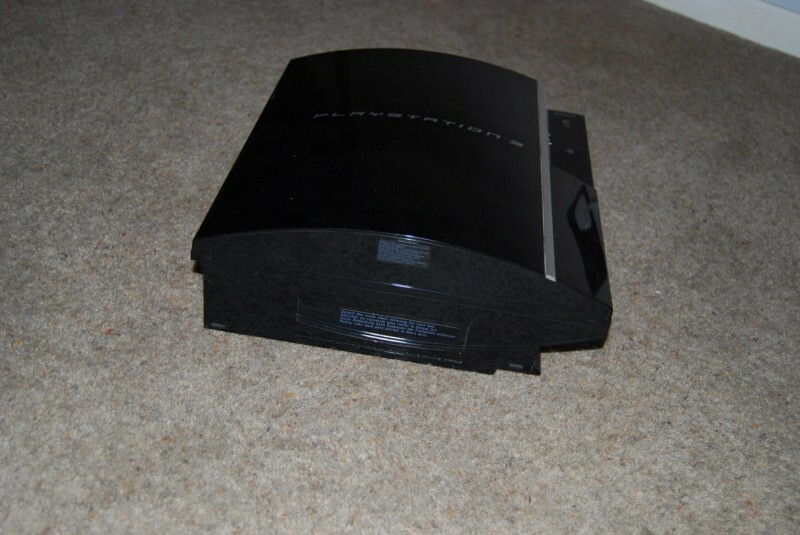 I then connected the drive to the PS3 and it was recognised, and we were in business! So as you can see, it’s not a swift process. 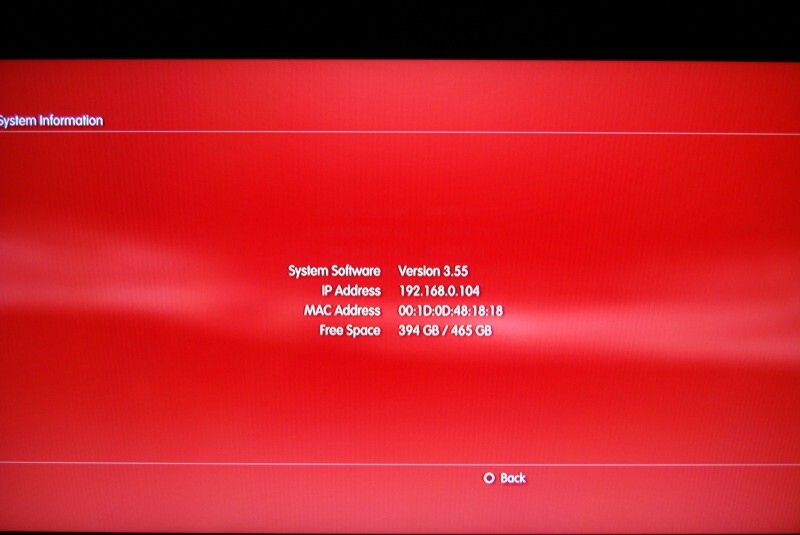 It may be worth noting that there’s a PS3 to PS3 backup utility which works over a direct ethernet link. However in an attempt to honour copyright protection this process wipes the HDD once it has finished, so I chose not to risk the data on my PS3 slim. 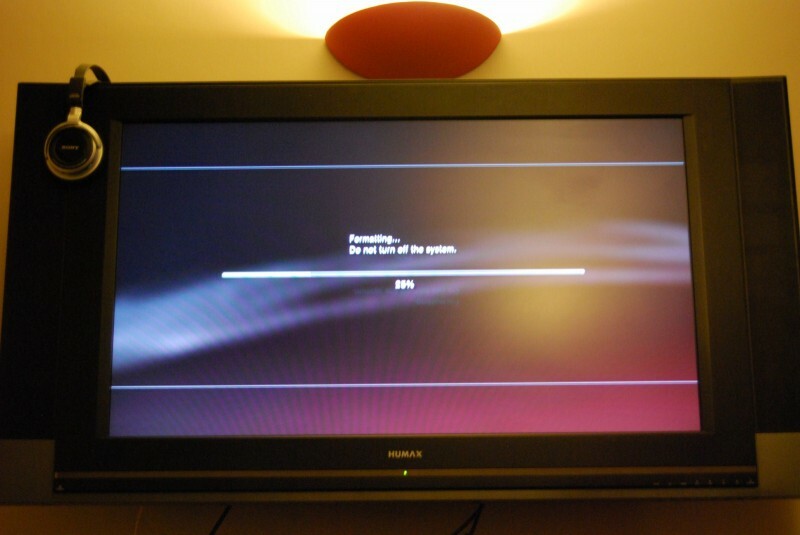 Frankly given how long it takes they should supply another PS3 to keep you entertained while you wait! Plenty of time to blog though! Eventually it finished, and just to be sure I attached the drive to my PC and saved a copy on my server. 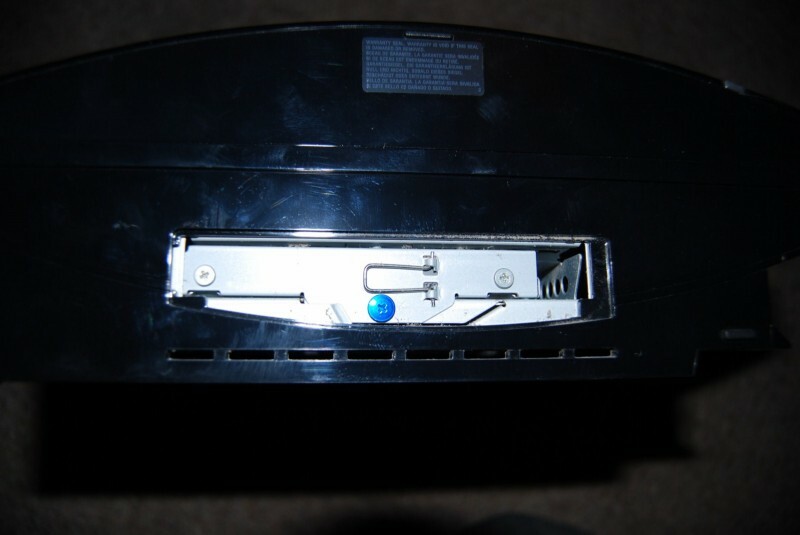 Then undo the centre screw (blue on my machine). 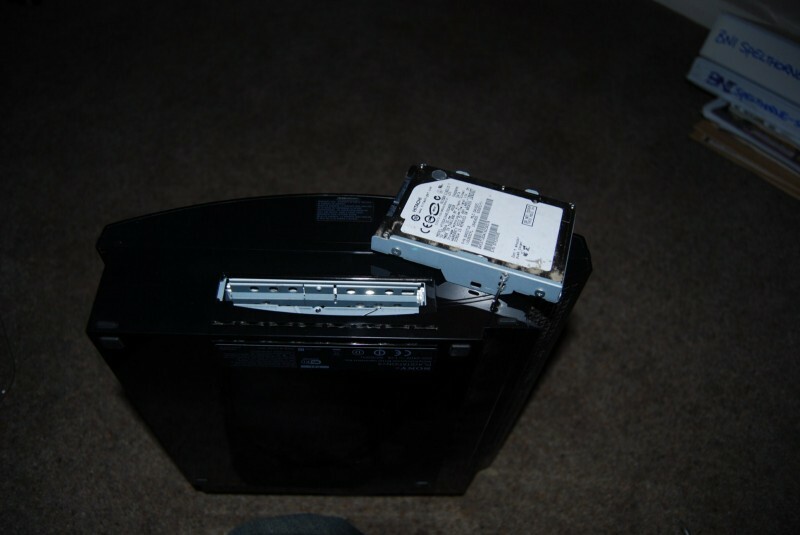 This allows the HDD casing to be slid right and extracted. 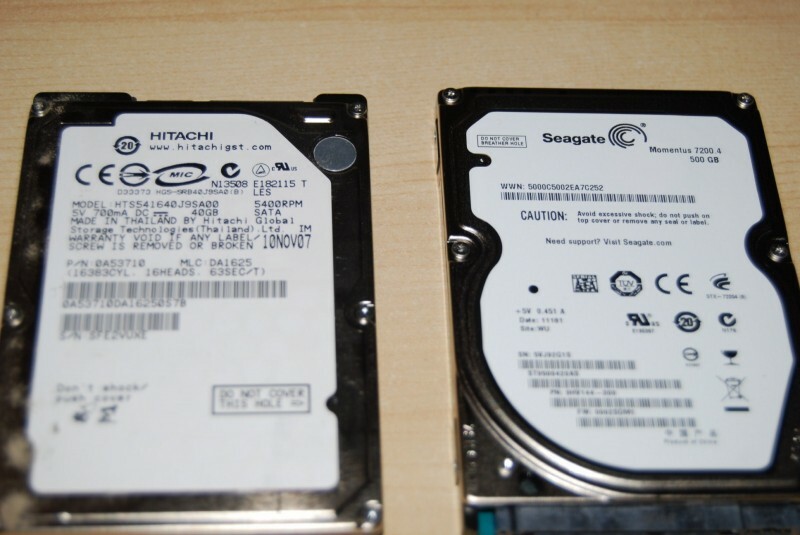 Here’s a comparison of the outgoing 40GB 5,400rpm Hitachi on the left, and the new 500GB 7,200rpm Seagate on the right. I hope the extra spin speed translates to more performance! Then connect the external drive, go back into Settings, find the backup utility and restore! The restore process was quicker than the backup, but I’m not sure why. The new drive is of course faster, but writing is normally slower than reading. Overall then, over 10 times the space (and perhaps a quicker drive) for £47 (ebuyer). Glad someone else has purchased GT5. Interested where you got the hard drive as i can see me doing the same. 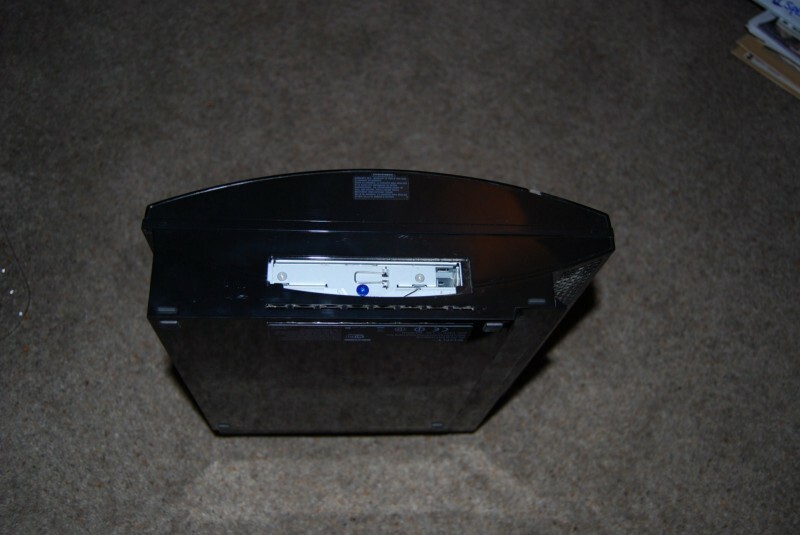 Paul – HDD came from ebuyer (I linked to it in the post!). Brenden – you’ve got plenty of 2.5″ 7,200rpm drives lying around? Yes, a quick ebay moment has found a couple of possibles. Maybe next week ends project, and will take it too Woking when it doesn’t work. Neil, as a 40gb chunky owner this was very interesting. Thanks for sharing. You should start playing GT5 more Neil, I never see you on it.I would like to trade with you sometime, as I have some Great Cars!! I played that game so much over the Christmas break it was silly! I’ll try and get on again sometime soon; I hope to hunt you down on the Nordschleife!